There is nothing worse in the interior of the car than a dirty dashboard. 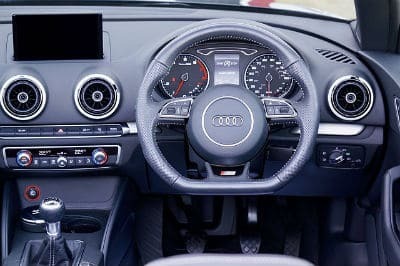 If you do not clean your dashboard on a regular basis it can accumulate a ton of dirt and grime which is very difficult to remove. There are some other negative effects which can appear if you do not clean and protect your car dashboard regularly. They are caused primarily by the sun which emits large amounts of heat and UV rays which can damage significantly the dash over time causing cracks, peeling or other unsightly things to appear. Microfiber cloth (available here). You should wash it first in order to be able to remove any loose fibers. A car interior cleaner (get it here). Interior dressing (find it here). There is a wide choice of these, from pressurizing can spray to hand-pumped ones. These products give different degrees of shine. When choosing the right one, you should take into account that too shiny dashboard will reflect light into your windscreen. 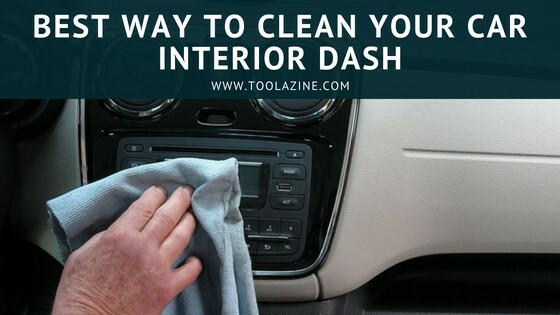 Before beginning the actual cleaning process of your dash you should take care to remove all the dust from it. For that purpose, you may vacuum first or and then clean all across your dash with this microfiber cloth and soapy water. In this way, you would get rid of the heavier particles of dust and dirt of the dash. The important thing you should have in mind at this stage is to beware that the cloth is not dripping with water. Tip: If you want your dash to smell fresh please add a drop of essential oil to the mixture. Use a cotton bud to clean any dirt and grime in the hard to reach areas such as the crevices in the steering wheel, air vents etc…. The buttons of the dashboard should also be cleaned again using a microfiber cloth. Tip: use a small flat head screwdriver and wrap the cloth around its top. Then drive the cloth all the way around the buttons to clean any dust and grime which have been deposited there. Tip: Using the help of a dash cleaning brush clean the difficult to reach spots on the interior doors or console. The brush bristles can help with surfaces which have texture. Brush using circular movements. For the second phase of the cleaning, you will need to use an interior cleaner. The interior cleaner should be used on dashboards on which there are decent amounts of dust and dirt. The interior cleaner is also able to provide you with intensive and profound cleaning experience. 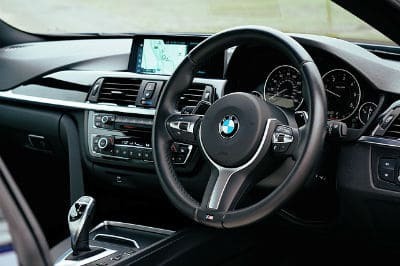 For the cleaning process, you should simply put a small amount of the interior cleaner on a microfiber cloth and then wipe with it the whole of your dash and center console. In this way, you can remove the more stubborn grime and dirt that can’t be removed by just the soapy water. For the difficult to access spots such as tight alcoves and crevices the microfiber cloth would not be sufficient. For these, you can use a vent and dash brush. This brush is ideal to clean areas such as the handbrake, vents, and radio. The final third phase of the cleaning process involves adding shine to your dash using a polishing agent. A polishing agent will give a shine to your dashboard and make it look like newer. The cleaning process itself is not a complicated one at all. Apply a small amount of polish onto a clean microfiber cloth and then wipe this cloth against the clean dash. If you want to, you can also repeat this procedure on the center console. There are different brands of polishes which have differing degrees of shine –semi-matte to gloss. That is why you should be careful to choose the right one which suits your preferences at best. As you can see, cleaning your car dashboard properly is not a quick task. If your dash is very dirty, it can be very time-consuming and require a lot of effort. Hi there! Do you have a favorite polishing product? I recently bought one that actually does its job too well, so it’s too shiny for me. Is there any semi- mate product you can recommend to me?